AMD held a conference call following yesterday’s earning results in order to clear up any misunderstandings and field questions from analysts and investors. According to reports, CEO Rory Read outlined AMD’s three-phase restructuring plan with the goal of returning to profitability by the second half of this year. Read said the turnaround is expected to take several quarter and involves a complete restructuring of how the company runs its business. Furthermore, AMD plans to deliver a new set of powerful products this year and will begin transitioning the company to take advantage of high-growth opportunities in other markets where their intellectual property could provide others with a competitive advantage. Those other markets include things like servers, custom silicon, the embedded space and ultra-low-power products like gaming consoles. Read told investors that AMD has already scored solid design wins for semi-custom APUs and embedded products and that we can expect to see products using those designs later this year. AMD hopes to collect 20 percent of their revenue from these alternate markets by the end of 2013. The executive also touched on spending cuts related to the company’s research and development efforts. Industry watchers have been concerned that AMD is cutting this segment too deep but as Read noted, they are taking expense management steps at all levels of the business. He said the cuts to R&D are designed to help improve efficiency and productivity by doing things like reusing intellectual property and utilizing fewer process technologies. 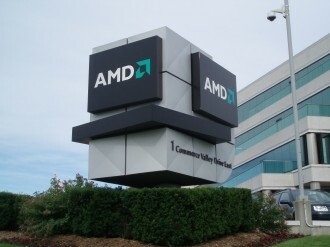 If you missed yesterday’s earnings report, AMD posted an operating loss of $422 million and a net loss of $473 million for the fourth quarter when factoring in charges related to ending their wafer supply agreement with Globalfoundries.